First Team Manager Duncan MacIntyre has named his management team for the 2017 season. Paul Duke has been appointed Captain for the second time, having held the honour in the 2013 season where he lifted the Mòd Cup. Peter Gomez has been appointed to the Vice-Captaincy – a tremendous honour for a homegrown player who has become one of our most committed and effective players in the last few years. Ally Lamont will be continuing as Fitness Coach. MacIntyre has also added John Macaskill to his management team as assistant shinty coach and first aider, John comes from a strong shinty background and we welcome him to the club. After the 2016 AGM, held in Stornoway Primary School on 26 October, the following were appointed to the following office bearer roles for 2017. David Macdonald continues in the role of Chieftain. Thanks are extended to the 2016 Committee for their hard work and commitment throughout a long and challenging season. Despite poor weather, both sides in the Mòd Cup served up a close and competitive tussle. 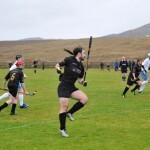 Certainly the club’s best performance against a Skye side, it was a tense and exciting match, with very little to show that there was a league between the sides. It was a stalemate until veteran Camanachd Cup winner Peter Gordon scored just before the hour mark. We then had the lion’s share of possession and momentum, and if we could have squeezed the ball over the line we could have gone on to swing the game back in our favour. However Iain MacLellan broke up the other end to make it 2-0 with around 15 minutes to go, then Kenny MacLeod put the result beyond doubt with a third goal, although we had some more chances to get on the score sheet. 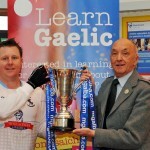 The trophies and medals were presented by An Comunn Gàidhealach President John MacLeod. The support of An Comunn Gàidhealach for the fixture was appreciated. With so many of our young players getting the chance to shine yesterday, whenever the Mòd returns to the Western Isles in the future, we’re sure that this new generation will be more than a match for whatever opposition they face. It was fitting that Skye Camanachd were the final opponents of our tenth season as a senior club, great friends, ‘s math na càirdean and we’d like to thank them all for coming over. 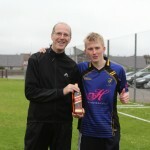 Skye player, and long term friend of the club, Daniel Morrison was named man of the match by referee Henry MacInnes. Michael MacLeod was possibly our best player at buckshee back, but the team competed well all across the park, with Steven Morrison and Scott MacLeod belying their young age, and Alexander Gordon also showing up well coming on as a sub. 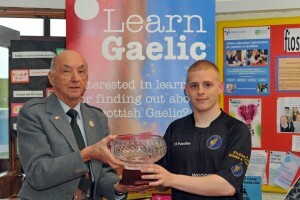 Al Reed was also presented with his recent LHSC Young Coach of the Year by John MacLeod. BONUS FEATURE – Gaelic celeb and long term fan of the club Alison Gael MacRae turned up to do a wee film alongside her old partner in crime Rubens. 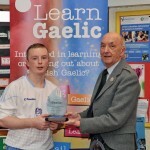 Thèid Coinneamh Bliadhna Camanachd Leòdhais a chumail ann am Bun-sgoil Steòrnabhaigh Diciadain 26 An Dàmhair 2016 aig 7f. Tha fàilte ron a h-uile neach aig a bheil ùidh ann an spòrs nan Gàidheal ann an Leòdhas agus na Hearadh. 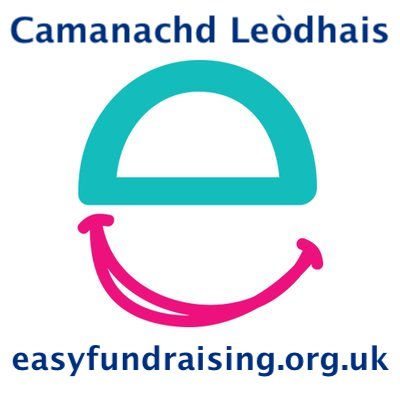 The Camanachd Leòdhais AGM will be held in Stornoway Primary School on Wednesday 26th October 2016 at 7pm. A warm welcome is extended to anyone with an interest in the sport of the Gael in Lewis and Harris. We were asked for a translation of the Mòd Article so we created a short listicle of the key facts. The Mòd Cup was first presented by the Aviemore Branch of An Comunn Gàidhealach in 1969 when the Mòd was held in there in 1969. 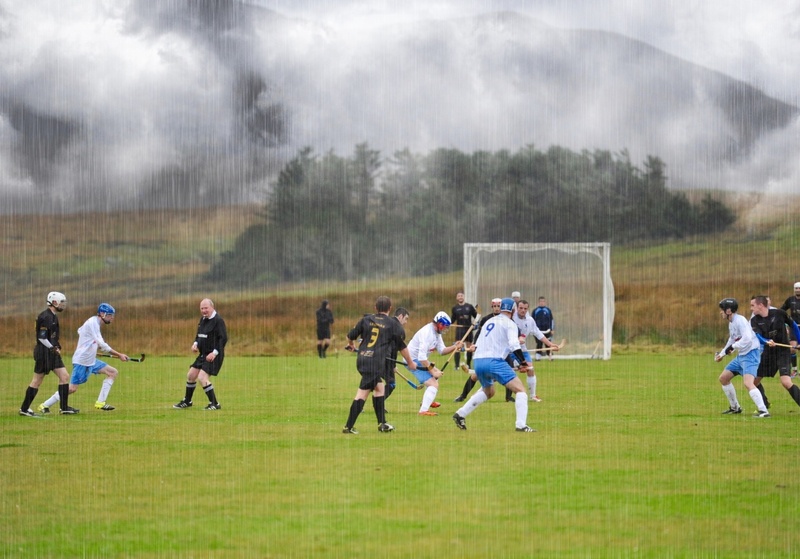 It was first played for between Newtonmore & Kingussie. Newtonmore won and it is the only national trophy that the Kings have never won. The trophy used to have a lid but this has been lost at some point. It is always played by two sides close to where the Mòd is held. This has led to several interesting match ups over the years, especially giving smaller clubs the chance to claim a national trophy. The Mòd was first held in Stornoway in 1979. It is unclear at the moment where the 1979 game was played, but it was won after extra-time by Lochcarron 5-3 against Skye. Boyd MacKenzie played in that match. The Mòd returned to Stornoway in 1989. 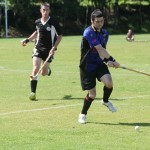 Skye Camanachd defeated Beauly 4-2 at Bayhead. 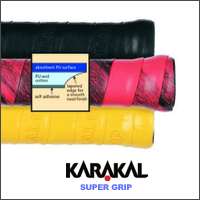 Goasl were specially made for the occasion. 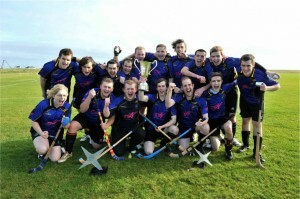 Many of the Skye players that day went on to win the Camanachd Cup the next year. Of note in 1989 was that Beauly player Martin”Toad” MacLean” played the last senior fixture to be played in Lewis until 2011, when “Toad” also played for Lochbroom in the first ever Camanachd Leòdhais home game. The Mòd was held in Stornoway again in 2001, but the shinty as played in Tarbert. For the first time, a Lewis based side competed, a young Back Camanachd facing Kyleakin Primary School. It ended up 11-0 to the Sgitheanaich. Several of the players in both sides have gone on to good shinty careers. Kyleakin are quite possibly the only Primary School team to have ever won a national trophy in any sport. The Mòd Cup was first held in Uist in 2005 as part of Mòd nan Eilean Siar and Uist defeated a Lewis select in an event which also saw the Lord of the Isles Trophy up for grabs with 70 kids taking part. 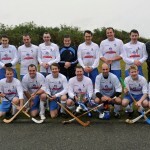 Shinty returned to Uist again in 2011, with the reformed Camanachd Leòdhais facing off against Uist Camanachd. Both teams had been competing at national level, Lewis in North Division Three and Uist in the CA Development League. In a tight, tousy game, Lewis won their first major trophy 2-0. 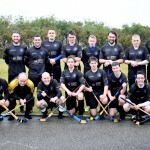 This year’s fixture at Mòd nan Eilean Siar is between Camanachd Leòdhais and Skye Camanachd and will be held at Shawbost on Saturday 15th October, throw-up at 2pm.